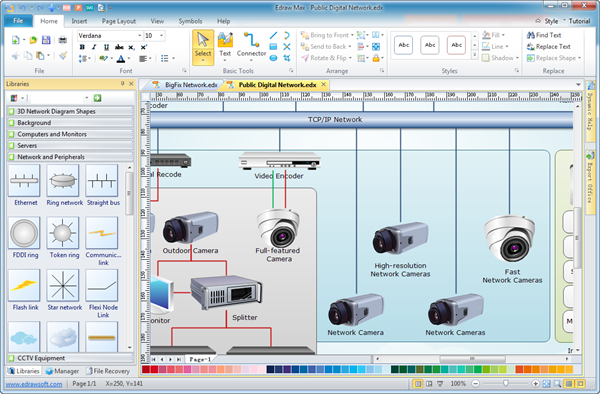 An incredibly easy network design software with abundant examples and templates. Free Download. 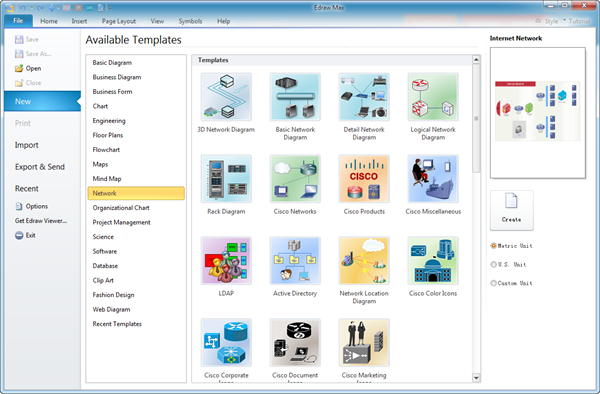 Every user loves this user-friendly and cost-efficient network diagram software! 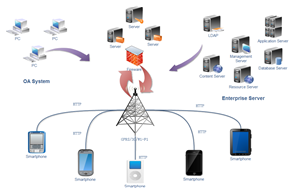 Network Diagram Software is optimal for network engineers and network designers to draw detailed network documents in a more productive, creative and time-saving way. 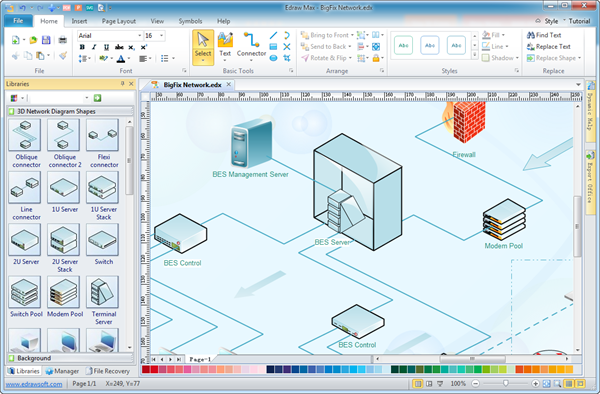 Edraw Network Diagram software is light-weight, yet incredibly powerful. 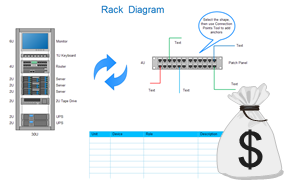 The overall design of the software is intuitive and makes creating all kinds of network diagrams a breeze. Network Diagrams such as home network diagrams, wireless network, network voip diagrams and so forth are very complicated to draw by hand. 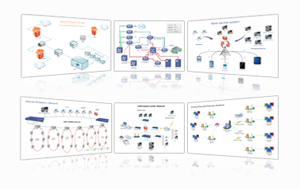 Edraw provides an all-inclusive collection of templates, symbols and computer clip-art images to rapidly create any kind of diagrams, even Motherboards, Network Topologies, Peer-to-Peer (P2P), LAN/WAN Design and Network Cabling. It equips you to create visually pleasing computer network diagrams within minutes, comprising 2D and 3D networking symbols, block diagramming symbols and Cisco network symbols. 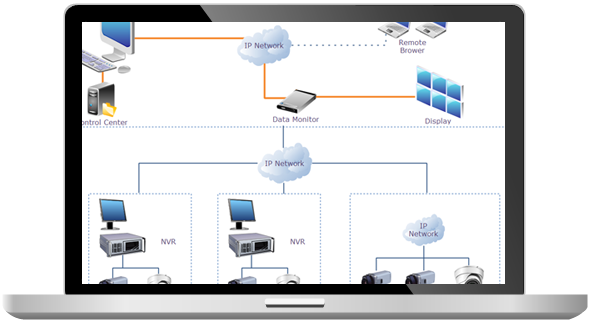 Our software can build customized libraries of network components, and draw detailed network diagrams showing placements of network equipment and their logical and physical connections and arrangement. Zooming, scrolling, multi-selection, multi-level undo/redo and automatic aligning and distributing reduce massive manual operation and a large amount of time. No prior experience and artistic skill is required for its automatic generation feature. Saving time is saving money. Most importantly, it is a cost-efficient tool so you don't have to empty your wallet. Furthermore, the lifetime license keeps helping you save money with free technical support and upgrade service. The design results are all Scalable Vector Graphics which are editable. Unlimited expansion is supported without losing clarity which is conducive to presentation in great details particularly in big rooms. Printing is WYSIWYG (What You See Is What You Get). 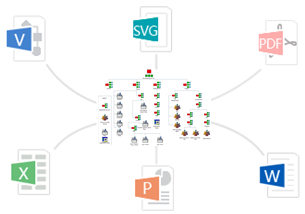 All of these features bring a smarter and simpler diagramming experience to benefit you and your company. Overall, this is one of the best applications available to IT people.